Like any other business, the manufacturing sector also has been drawing a lot of attention from first generation entrepreneurs who form the bulk of the MSME segment in India today. This also leads to the most pertinent question as to what are the keys things that an entrepreneur should concentrate upon, before starting the unit. Market research– Do a thorough market research to understand which is the best industry to setup in your location and budget and identify your key USPs to implement the manufacturing business idea. You could either depend primarily on secondary market research or hire professionals to do a complete on ground analysis and submit a complete project report. This report will also be required when you go for loans or any other financial assistance. 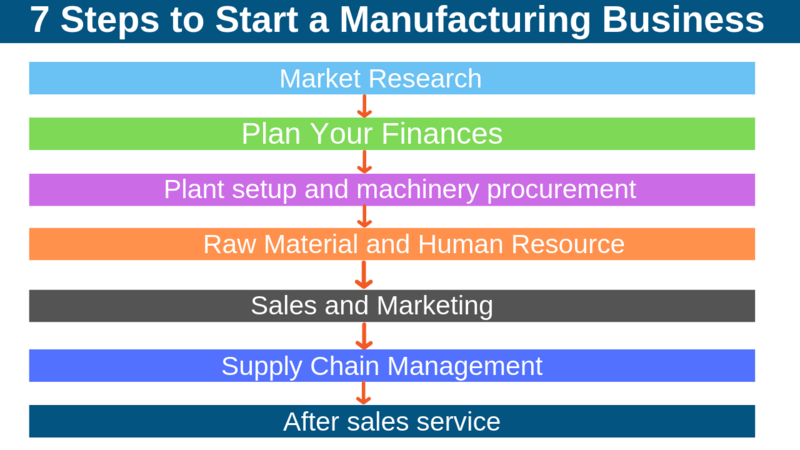 Plan your finances– once you have zeroed on the right manufacturing business idea, you should get the best project consultants to help you sort the finances. Most of the MSMEs can get loans at preferential rates and also there are a lot of govt. Schemes from SIDBI etc, that a good industrial consultant can introduce to you. Plant setup and machinery procurement– Since the industry layout design and actual implementation requires a lot of technical expertise, we suggest to use the best industrial consultant to help you with this. This will ensure that the manufacturing industry best practices are adhered to from the start itself. This also increases efficient production and reduces rework at a later date. Procurement is also a tricky affair and a good manufacturing consultant can guide you the best way to get the machineries at the best price. Most often people rely on Chinese imports but with heavy import duties on imported goods and subsidies for buying from a Make in India entity etc, many times local machines end up being cost effective. Supply chain management– getting the right market entry may give the best sales but without a good logistics and delivery plan, order execution will be affected which in turn will affect customer satisfaction. After sales service– since none of the products are built to last to eternity, a good company always acknowledges that product failures are part of the deal and hence ensures a very robust process to handle this situation and make sure that a highly skilled customer service team shall be responsible for after sales service. Overall SolutionBuggy has helped numerous entrepreneurs to setup manufacturing industries by giving them access to the right consultants who have guided them through the entire process of setup and operations of a manufacturing industry. To learn more how 190+ entrepreneurs have been benefited through SolutionBuggy, logon to www.solutionbuggy.com and register your problem related to the manufacturing sector.